New period fabric wiring throughout! 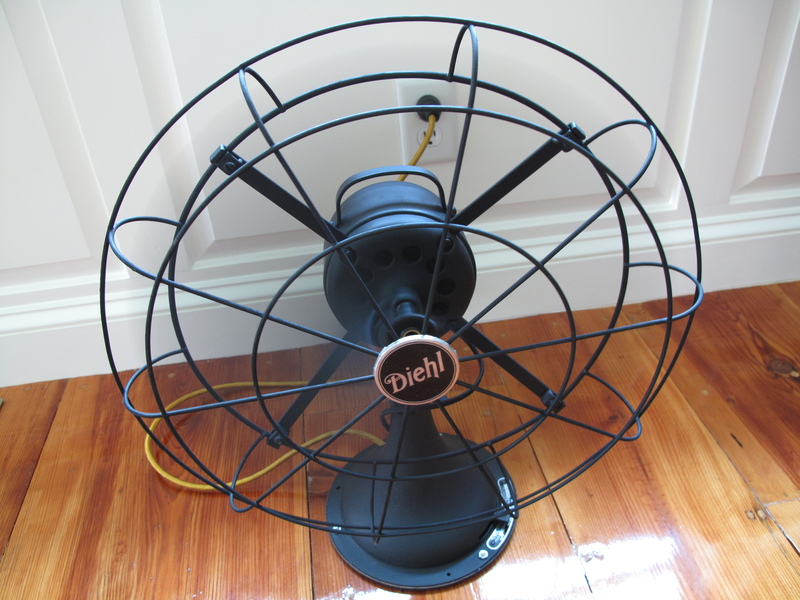 This is a fantastic Diehl oscillating fan! It has been completely gone over, with new period style wiring, a thorough cleaning, paint and an oiled motor. Both the wiring to the motor and the power cord have been replaced. Definitely an exceptional example of a solid vintage fan. It runs smoothly and is very quiet. The three speed switch works just as it should. 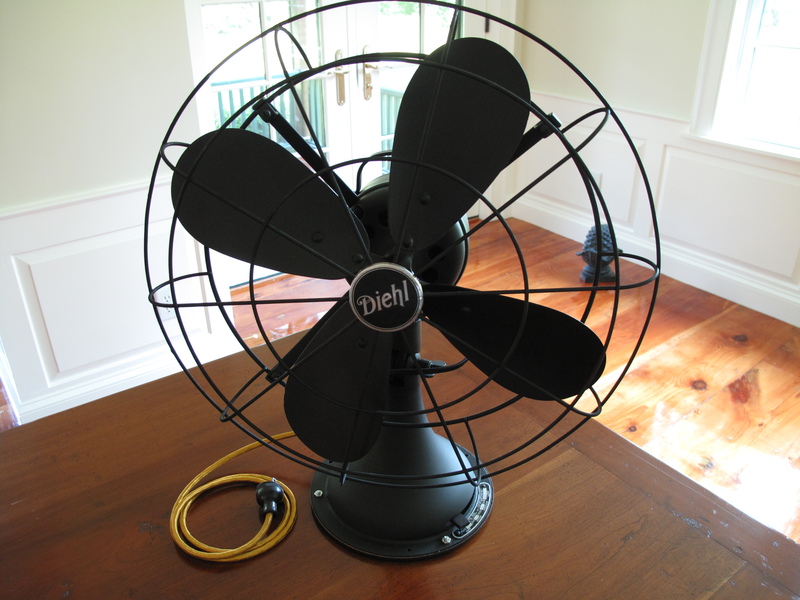 The black paint, with a touch of gold coloured wiring, makes this fan versatile in any home or office decor. Beginning in the late 19th century, Diehl was started by a German motor expert. Using state of the art engineering, Diehl was known for high end products.